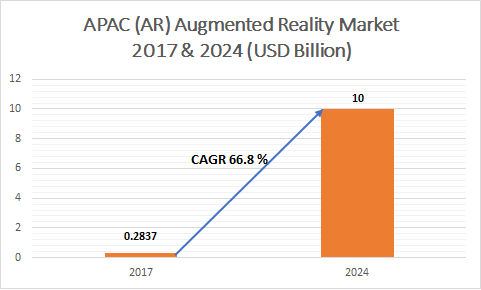 Asia Pacific (AR) Augmented Reality Market is predicted to grow at over 66.8% CAGR during 2018 to 2024, from around a value of USD 283.7 million in 2017. Increasing investments in the technologies for enhancing the industrial processes and functions are expected to drive the growth of the Asia Pacific AR market. The applications of the devices in manufacturing processes, such as product & process monitoring, diagnosis of parts & products, and quality testing & inspection, are providing several advantages to the industries. It offers accuracy in the work, an easy access to the data, inventory management, remote maintenance & inspection, and helps in training the workers. Major players in the Asia Pacific AR market are offering their products with technological advancements, which will support the manufacturing operations. For instance, Niantic launched Pokemon Go application is an augmented-reality software. The growing adoption of AR software in the gaming & entertainment sector can be witnessed with a rise in the demand for gaming products in the Asia Pacific AR market. The software is developed to provide an enhanced gaming experience to the customers. The region is experiencing a high demand for these products with a rise in the adoption of smartphones in this region. The applications are mobile-based and run on smartphones and tablets. Several apps that are developed for smartphones are Augment and Sun-Seeker. Sun-Seeker offers 3D views showing the solar path, sunrise, and sunset timings and its equinox. The penetration of this technology in the medical sector is gaining momentum with the increasing technological advancements in analyzing and monitoring the health & fitness of the patient. These products offer careful analysis and inspection of organs while performing surgeries. The demand for such a technology in the Asia Pacific AR market is expected to grow owing to an increase in harmful diseases and the need for their treatment. Several major players in the Asia Pacific AR market are offering such solutions for the healthcare sector; for instance, Google Glass developed by Google is a head-mounted display, which transmits the records and information of the patients. Key players operating in Asia Pacific AR market are Google, Niantic, Inc., Nintendo Co. Ltd, Samsung Electronics, Sony Corporation, Affectiva, Inc., and APX Labs. These players are targeting their products in several industrial sectors wherein the demand and need for these devices are high. 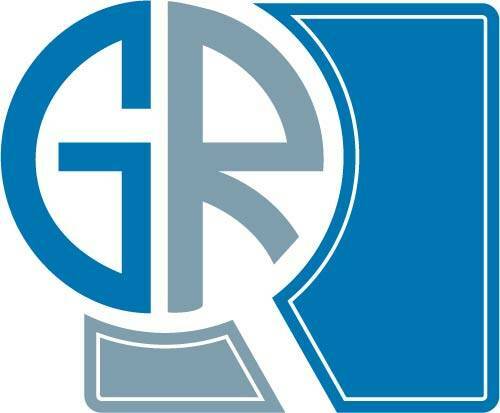 They are offering their products globally and are adopting several strategies to compete in the Asia Pacific AR market.